Playing Cards bridge size deck includes 2 jokers. 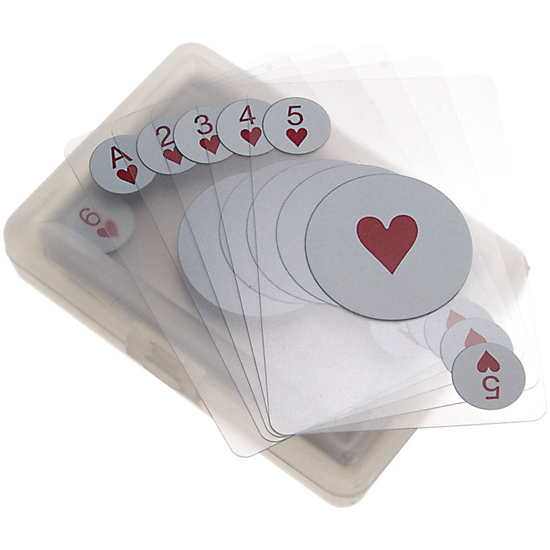 Very cool plastic see-through playing cards with translucent case. 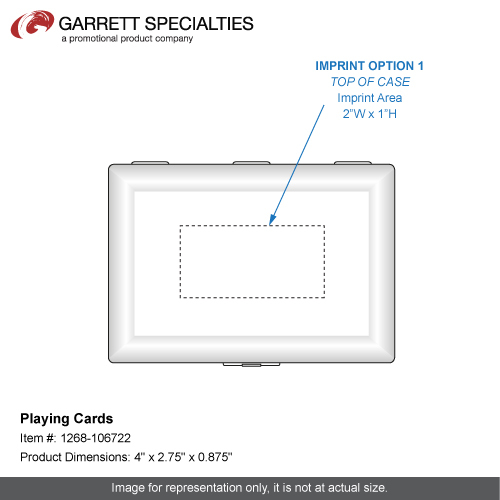 4" x 2.75" x 0.875"
Plastic Box / 43 lbs / 144 pcs.